Since the 80s, the ancient Indian discipline of yoga has been taking the western world by storm. Existing in many forms today, the controversies, complexities and communities that surround modern yoga are excellently reflected in the blogosphere. We're excited to continue the annual tradition of nominating the best yoga blogs on the web. This list celebrates what we all love about yoga today: the incredible diversity, the passion and hard work, and of course, the amazing yoga community. Along with a wealth of yoga pose and sequence guides, you’ll also find tips on Kundalini practice, Ayurveda advice, discussions on yoga politics, and even ideas for starting your own yoga blog. There are blogs in here that will make you laugh, make you cry, motivate you to change your life, and inspire you to change the world. Just like a really good yoga class, right? The broad range of topics you’ll find in these blogs reflects the most important thing about yoga: that it’s for everyone! Curvy Yoga trailblazer, Anne Guest-Jelley, has evolved her blog into podcast form this year, meaning you can now listen to her insights on yoga and life on the go! Adventurer, artist, writer and yoga teacher Hannah Faulkner combines her passions on Half Moon Yoga and Art. She draws inspiration from her surroundings to create beauty in a multitude of ways, making for an incredibly engaging blog. Come to Spirit Voyage for all things Kundalini. With insights and information on yoga, Kundalini practice and meditation, this is a great resource if you want to dive right into the tradition. A regular favorite, Daily Cup of Yoga's inspiring posts tend to feature real life wisdoms about the impact of yoga on and off the mat. The books section is also a great resource for the yogi readers out there! Not a fan of regular news sites? Try the Yogi Times instead! Art, recipe and travel articles are complemented by interviews and yoga videos, to give you a broad insight into the yoga world. This down-to-earth blog from the founder of Strala Yoga, Tara Stiles, is essentially a wonderful and simple guide to feeling great, with healthy recipes, yoga tips, and wonderful little life hacks. Enjoyable reading for all yoga practitioners as well as teachers. Allie Flavio (a.k.a The Journey Junkie) shares her thoughts on yoga, travel, and lifestyle, augmented by some gorgeous photos. With tips on blogging and general life goals, this blog really is a place for true inspiration. Anatomy, controversy, yoga news, health, fashion and more: Yoga Basics is a fantastic blog that will help you keep up-to-date on the latest in yoga trends. We love the focus on weaving yogic principles into everyday life. One of Instagram's favorite yogis, Rachel Brathen spends her time teaching yoga in her Caribbean home of Aruba and at retreats around the world, as well as inspiring social change through her non-profit, 109 World. Follow her adventures on her blog! Elena Brower's personal posts and beautiful poetry are deeply moving. Combined with unique insights into the professional yoga world and useful yoga guidance, this blog is simply a lovely internet home for any yogi. What began as the story of one yogi's personal journey has transformed into a great all-round yoga blog. Featuring classic texts and stories from around the yoga world, The Yoga Lunchbox is a wonderful resource that has a strong community feel. Roseanne Harvey's informed and thought-provoking blog, It's All Yoga, Baby, aims to discuss all things yoga, and the relationship between yoga and popular culture. Her writing critiques many of the issues facing today's yoga community with humor and intelligence. Marianne Elliot's work as a yoga teacher and human rights activist shines through the well written and engaging pieces that populate this blog. 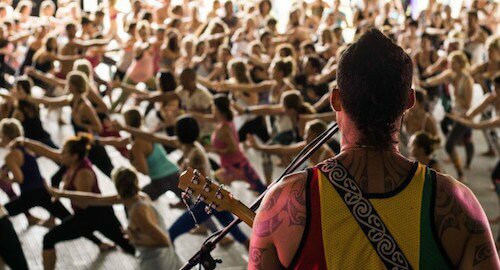 Well worth a visit for yogis who want to make the world a better place. Although the articles on Daily Downward Dog are interesting for everyone, the blog is geared towards yogis over 40. There is also a strong focus on relieving back pain and making yoga accessible for all. Mary Catherine Starr's frequent updates feature yoga, art, recipes, music, and lots of other lovely little life things. If you're in need of a gratitude reminder, check out her "Simple Joys of the Week" posts! The Yoga Blog is a fantastic platform for yogis from all walks of life to share their experiences. With the aim of inspiring community and play, they have huge range of topics to motivate you to join the conversation. Plus, their charity donation of 50% of all advertising revenue shows that they walk the walk, too! If you want to find ideas, tips and stories relating to yoga for children, then visit the Little Flower Yoga blog! This invaluable resource goes well beyond anecdote, with overviews of research and book reviews. In yoga teacher Rebecca Pacheco's blog, you'll find fashion tips alongside yoga tidbits, as well insights into her daily life! Great for the more athletic yogi. 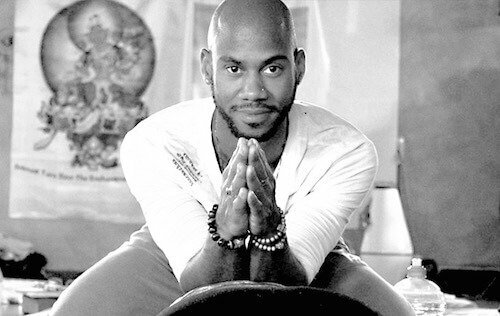 J Brown is an acclaimed teacher who promotes a more traditional, introspective, and breath-focused style of yoga. His honest and interesting writing has been featured widely: when you read this blog, you'll see why! This regularly updated blog does what it says on the tin: with lots of information about the effects of yoga on the body and brain, Yoga for Healthy Aging supports readers to maintain their health for years to come. Articles on the Wild Places Yoga blog are sure to help readers connect their yoga practice with the natural world. The beautiful photos will have you heading to the nearest park in no time, mat in hand! As one of the biggest yoga resources out there, it's no surprise that Yoga Journal has a stellar blog. With info about everything from meditation to yoga tips for moms, and including guest articles from some very prominent yogis, this is a blog every yogi should know! Tracey's writing on Whole Life Yoga demonstrates how you can use yoga to impact the lives of those around you: there's a real sense of yoga community in this warm-hearted blog. "Ancient Wisdom, Modern Perspective" is the tagline for Yoga Modern: check it out for updates on culture, art, health and more, through the lens of yoga. Bonus points for not being afraid to discuss serious global issues. If you teach yoga to teens, want to inspire your own teens to start a practice, or simply want to know more, Yoga Minded is a great place to start! Hari Bhajan, long-time student of Yogi Bhajan, offers tips on living the (Kundalini) yoga life with grace on Yoga Mint. The blog has been revived after a 3-year hiatus, so keep checking back for more musings! This super-helpful blog gives sound advice on how yoga can help you to work through a number of life issues. Practical yoga tips and videos also make Ashley's blog a fantastic all rounder. 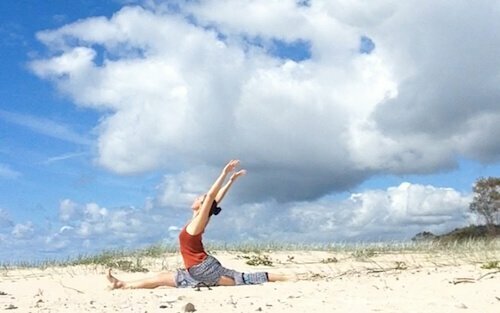 Rachel Scott mixes comprehensive yoga sequences with insights into heartfelt life-advice in this well-written blog. Our favorite thing about this blog is that it's refreshingly to-the-point. Written by a pre- and postnatal yoga teacher, Erica, Spoiled Yogi is a fantastic resource for new moms and pregnant yogis. Yoga Spy provides a timely spotlight on yoga culture in North America, combining personal stories with wider musings and questions about the modern yoga community. Candace's blog is perfect for the modern yogi: she mixes up yoga tips and sequences with fitness and recipe guides, in a way that's really easy to identify with. Don't miss her "Confessions of a Yoga Teacher" articles, for a sneak peek into the teaching world! Covering everything from chakras to yoga travel and meditation to creativity, Stephanie's blog can give you information and inspiration for a well-rounded yogic lifestyle. Bonus points for posting articles so regularly! Passionate and positive, Silvia's warmth shines through in her blog posts. With years of teaching under her belt, the articles demonstrate a depth of knowledge and experience, with a focus on happiness. Jam packed with yoga sequences and pose tips, Yoga with Kassandra is an amazing blog for yogis who want to maintain a regular practice. Kassandra also writes about fashion and fitness, with some tasty veggie recipes thrown in too! Mixing yoga sequence podcasts with written posts gives Adam's blog a really fresh feel! His frequently updated blog features loads of helpful tips on poses, alignment, and meditation. Alive in the Fire has lots of self-love and all-round love going on in this life-affirming blog, as well as some fantastic photos. If you're a bookworm, check out the reviews! As a teacher at Stanford Medical School's Health Improvement Program, Ananta definitely knows what she's talking about! Follow her for practical and spiritual Ayurveda advice. Gigi Yogini, a.k.a Brigitte Kouba, writes honest, charming and funny articles about her experiences as a yogi, a yoga teacher and now as a mom-to-be! Visit this blog when you're in need of some positive affirmation. Articles on this blog are lengthy but intelligently written, including musings about Ashtanga, philosophy, and chess, amongst much more. With posts dating back to 2010, there are lots of interesting ideas for the deep-thinking yogi here on Yoga Dragon Den! The much-loved Elephant Journal goes beyond yoga to inspire readers to live mindfully in all areas of their life, and have an awesome time to boot! Articles range from conscious consumerism to enlightened education, so if you're interested in leading a life that positively impacts the people and planet around you, then this one's for you. 'Cause who doesn't need a little more sass in their lives?! Sassy Yogi's beautiful pictures and an easy-to-read layout make this Singapore-dwelling yogi's blog a favorite. Don't miss her "Weekly Intentions" posts for some grounding inspo! 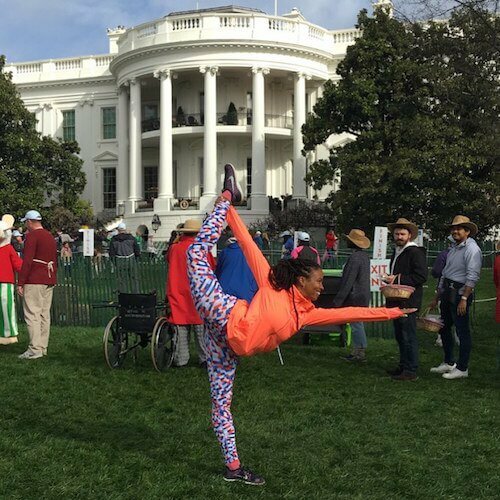 The inspiring woman behind Anacostia Yogi is Sariane Leigh, a yoga teacher who has dedicated her life to teach wellness in her neighborhood and tackle inequalities in health. Check out her blog for an insight into her life and simple tips on living well. If you're lucky enough to have a family that's also into yoga, then Karma Spot is perfect for you. Articles include interesting ideas for both parents and children, as well as fun and empowering activities for the whole family. Enjoy! You may not guess it by the domain name, but if you're into Ashtanga, you should definitely check out this informative blog. Black and white pictures give the articles on Grimmly 2007 a classic and studious feel. Yogi Crystal discusses yoga, life, wine and running, and she's right: what else is there? Follow her personal journey in this personable and light-hearted blog. Chelsea works with marginalized populations, with the aim of using yoga to engender community. Her inspiring work is reflected on her blog. Check out the "Yogis in the Community" section for interviews with some excellent teachers. Yoga mommas will find it hard not to identify with this lovable, passionate blogger. Jennifer's musings on being a mother and a woman are generously sprinkled with humor and warmth. Bram Levinson's blog is an introspective reflection on life and yoga. His powerful writing will inspire any yogi to be grateful for what they have, and to make the most of their abilities to change the lives of themselves and those around them. You'll find well-articulated and intelligent discussion here on Body Divine Yoga, comparing modern yoga to its traditional and spiritual roots with a feminist slant. If you want to find a blog that critiques and dissects the issue of the "yoga body," as well as other ideas in yoga politics, this is for you! We've featured this awesome retreat before, but have you checked out their blog? Get a taste of the wild side when you read about the cowgirl yogi lifestyle, and don't forget to check out how they help women with breast cancer. We hope you’ve found your new favorite yoga blog, or are inspired you to start your own. Let us know which one you like best, and if you think we missed one, share it with us in the comments!